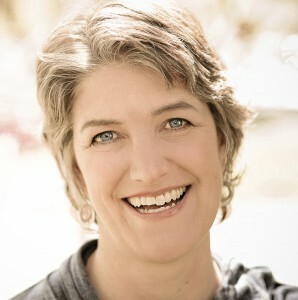 Barbara is a voice coach, singer/songwriter, keynote speaker, and author who merges lessons from 12 years in organization development with the transformational power of sound. 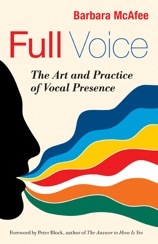 Her book, Full Voice: The Art & Practice of Vocal Presence was a #1 Amazon bestseller in Business Communication. The book is based on her 25 years as a voice coach, supporting people from many professions in learning how to access the full power and expression of the voice in service to their work and relationships. Barbara’s musical keynotes blend practical content, sophisticated humor, and thought-provoking questions on topics including voice, leadership, and engagement. Barbara has produced seven CD’s of mostly original music and is founder of the Morning Star Singers, a volunteer hospice choir in the Twin Cities. She lives across the street from the Mississippi River in Minneapolis, Minnesota, USA. Barbara considers herself an ambivert, and acknowledges how that has helped her personally and professionally. She values introversion for her creative process and extroversion for her performances. Furthermore, she appreciates how her ambiversion allows her to connect with her vocal coaching students regardless of where they fall on the spectrum. Aspects of her day job as a personal development consultant and her passion as a singer-songwriter collided when she was offered referrals for vocal coaching. Her book correlates vocal and leadership qualities with natural elements and demonstrates the best uses for each. Over the course of the episode, she demonstrates each vocal element (earth, fire, water, metal and air) and the best scenarios to use them to your advantage, particularly for introverts. When it comes to addressing others, how you convey your message can be just as important if not more important than the message itself. Email to receive your gift of Barbara’s song from the end of the episode!